My most current read is dry I suppose, but important nonetheless. I’m a big fiction reader, and I am an unashamed fan of YAL; however, there are times when both for research purposes and for my own intellectual health that I will venture into the world of non-fiction. Wagner's book explores why our students are ill prepared for the world they will be working in. 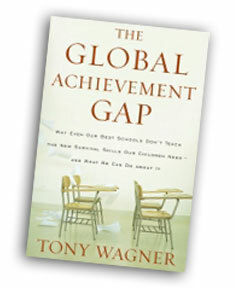 Originally published in 2008, Tony Wagner’s book, The Global Achievement Gap, is a glimpse into why even our best schools are not preparing students for the world they are growing up in. Tony is a Harvard professor and is co-director of the Change Leadership Group at the university’s Graduate School of Education. He spent years researching and interviewing CEO’s, blue collar workers, educators, and students in order to make what he believes to be starting revelation–American students are deficient compared to many of their global counterparts. While reading this book, I was never shocked by any of the stories and facts he purported; no, I simply nodded my head as I read along finding myself agreeing with much of his assessment of the issues in our education system. 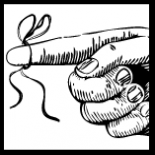 The book is intended to be a persuasive piece, so there is certainly an underlying bias in the tone of the book; however, he brings about valid points that I see in my classroom now. I have also seen how these fears and uncertainties can be fixed in my project-based learning classroom. If you’ve taken the time to read any of my PBL posts, see if the following list doesn’t resonate with what PBL focuses on. Hmm, sounds familiar to me. I picked this book up because I was simply curious to what an education Harvard professor had to say about what is needed for our students to survive in the 21st century. (I also needed to read a book of its caliber for a class I’m taking.) What I found reinforces what PBL offers students. Students who engage in high level project building learn and gain the survival skills Dr. Wagner is presenting. If you’re looking for an interesting read that will get your educational mind turning, then I highly recommend this book. It will challenge what you think, and give some solutions along the way.